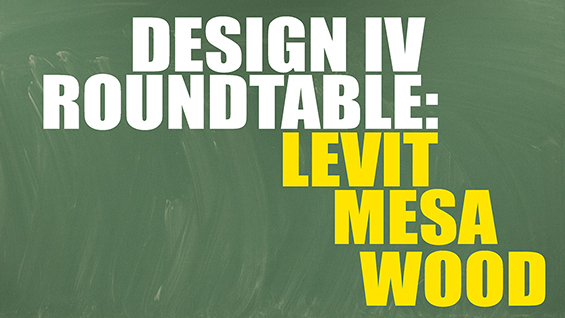 Robert Levit, Débora Mesa and Dan Wood will engage in a conversation moderated by Dean Nader Tehrani. Visiting Professor Robert Levit is a partner in the design firm Khoury Levit Fong and has won several international architecture and urban design competitions. His work links the urban and architectural scales. He has led research funded by the Province of Ontario examining the relationship between density and urban form and providing models for urban intensification. His work on housing types has received academic and professional awards. Levit teaches at The University of Toronto. He holds a Master's degree in Architecture from Harvard University and received his Bachelor of Arts degree from Columbia University. Benjamin Menschel Distinguished Visiting Professor Débora Mesa is European Licensed Architect by the Polytechnic University of Madrid. She is principal of Ensamble Studio, a cross-functional team she leads together with Antón García-Abril, based in Madrid (Spain) and Boston (USA). Balancing education, research and practice, their work reflects a bold approach to the design and construction of architectural and urban spaces, structures, technologies and programs. Visiting Professor Dan Wood, FAIA, LEED AP, leads international projects for WORKac ranging from masterplans to buildings across the United States as well as in Asia, Africa, and Europe. Wood holds the 2013-14 Louis I. Kahn Chair at the Yale School of Architecture and has taught at the Princeton University School of Architecture, Columbia University’s Graduate School of Architecture, Planning, and Preservation, Ohio State University’s Knowlton School of Architecture, and the UC Berkeley School of Environmental Design, where he was the Friedman Distinguished Chair. He is a licensed architect in the State of New York and is LEED certified. This event is open to current Cooper Union students, faculty, and staff. Room 714F.